Honestly, our life in Panama centers mainly around the beautiful Pacific coast that we look at and listen to every day. We enjoy our walks on the beach, our cocktail hours on the balcony or at the Tiki Bar, our breakfasts, lunches and dinners with the waves and sand just 10 stories below. We keep our business running and our contacts with family & friends in other countries courtesy of the great internet connections we enjoy. We jump in our car and head out to do some shopping, go to church, go sightseeing, go to the city. We still thrill every time we drive over one of the two bridges that go over the Panama Canal. But the fact of the matter is, if it weren’t for the Panama Canal, we probably wouldn’t live here. 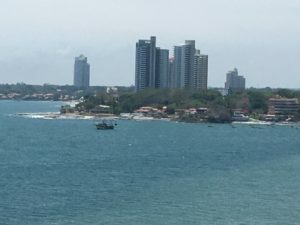 Part of the allure of Panama as a place to live was the great infrastructure we found here: a good road system, clean water everywhere in the country, electrical supply, internet, banking, etc., etc. As American expats, we understand that our affinity for this country came in large measure from the fact that Americans were so very influential in many of the systems in this country. Since the US Government had such a huge presence with the Panama Canal until the end of 1999, it was impossible that they wouldn’t bring with them their standard for improving whatever they could in their host country. Although most of that was concentrated within the Canal Zone, it couldn’t help but spill over into the surrounding areas, as “Zonies” traveled beyond the perimeters of the zone, into the City or into the countryside. They set the standard. So, while we love all things Panamanian about Panama, we do tip our hats to the designers, developers, builders, administrators and relinquishers of the Panama Canal. Ask any 20 people about Panama, and at least 19 of them will identify it with the Panama Canal. Panama is known all over the world for that Canal, which is only right. The Panama Canal is transited by ships from all over the world! In fact, the Panama Canal now handles about 6% of all world trade and connects more than 140 sea routes and 1,700 ports in 160 different countries! 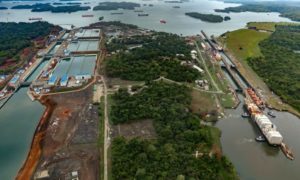 Because, you see, when there was a class of ships that couldn’t transit the Canal due to their size, the Panamanian government and the Panama Canal Authority began plans to expand the Canal by adding two new locks which would accommodate the Neopanamax ships. The original locks are 110 feet wide, while the expansion locks are 180 feet wide. The new, larger locks were opened for use in June of 2016. So what has been going on since the Expansion Canal opened? A lot! Of course, there were the inevitable growing pains. Just like when a new restaurant opens, you know that things will go wrong or get crossed up. The new locks have definitely had their issues, but things have settled down nicely, for the most part. Built by a consortium led by a Spanish company, the expanded locks cost of $5.6 billion. With that kind of investment, one would definitely want them to pay for themselves in good time. Things are looking good. Within the first two years of operation, on March 1 this year, the 3,000th neopanamax ship transited the new locks. At the 2-year mark, according to Newsroom Panama, 3,745 vessels have passed through the new locks! According to financial statements issued by the Panama Canal Authority, revenue from the Panama Canal in 2016 was $1.933 billion and increased to $2.238 billion in 2017. At the same time that revenues increased, there were actually fewer transits of the Canal. The reason for that is the increased tonnage, represented in great part to the increased size of ships transiting the Canal. Reports from the Panama Canal Authority show that the sectors that have increased most significantly since the opening of the expansion locks are the Neopanamax container ships, representing about 54% of the transits through the expansion, liquid petroleum gas vessels (LPG), representing 29%, and Liquid Natural Gas (LNG) vessels, representing about 9%. Prior to the opening of the expansion locks, these vessels were unable to enter the Panama Canal for transit. 2017 saw transit of between 5 and 6 million tons of liquified natural gas, 80% of which came from the United States. The Panama Canal Expansion isn’t just about cargo. There are larger cruiseships going through the Canal Expansionon. 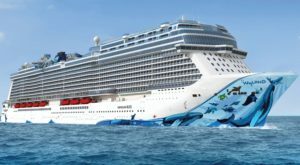 On May 14 this year, the Panama Canal facilitated the transit of the largest cruise ship to ever enter the Canal, the Norwegian Bliss of the Norwegian Cruise Lines. The weight of this vessel is 168,000 tons with capacity for almost 5,000 passengers! Overall, the United States is the largest user of the Panama Canal, with, on average, 68% of the transits being from the US. Compare that with 18% from China. Statistics from the Panama Canal Authority site show that 75% of the tankers which transit the Panama Canal either originate from or are heading to US Ports. Even with all of these positives, there have been challenges. 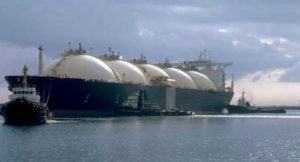 The Canal Authority had limited the transit of LNG ships to just one per day, but, as of April 17 this year, that number has increased, as the Canal facilitated the transit of 3 LNG ships in just one day. This change will help to alleviate some congestion and backlog of LNG ships awaiting their turn in the locks! In addition, in August 2017, the Canal Authority implemented a 30% increase in tolls which led to some of the cargo ships carrying lower-cost cargo opting for the longer, cheaper route. With the price increase, the largest Neopanamax ships now pay between $500,000 and $800,000 per crossing. In addition, just a year ago, transits through the expanded locks were numbering around 5 per day, although the stated capacity is 12 per day. As of March 7 of this year, the number of ships transiting has been increased to 8 per day. This also will help to alleviate the potential bottleneck! How does the Panama Canal makes its money? Container ships are charged by the number of containers they carry. Full containers cost $99 and empty containers cost $59. There are Neopanamax container ships that can carry up to 140,000 containers! Cruise ships pay a surcharge of $138 and $148 per berth! If you have a burning desire to calculate how much these vessels, you can go onto the Panama Canal Authority site and check out the schedule of tolls and see if you can figure it out! Why does the Panama Canal make money? The Panama Canal was built to reduce the time required to travel from the Atlantic Ocean to the Pacific Ocean and vice versa. Alternate routes require sailing around Cape Horn or the Cape of Good Hope or even using the Suez Canal. Without using the Panama Canal, a ship sailing from port in California to the East Coast of the US had to sail 12,000 miles and more. Using the Canal reduces the distance to 4,000 miles. A ship sailing from Houston to Japan will save nearly 30 days by using the Panama Canal. In an industry where time can indeed be money, this time savings more than justifies the fees paid to transit the Panama Canal. With the new expansion locks, 90% of the global fleet can now transit the Panama Canal. If you want to know what kind of number we are looking at, CLICK HERE to go to a website that will blow your mind! It shows all of the ships currently sailing at the time you are looking at it. As of this writing, it is showing 170,040 ships in motion! It’s an amazingly informative site and can be addictive! Anyway, you get the idea: there are a lot of ships out there every day and now 90% of those ships are able to access the Panama Canal! Nothings stays the same forever! Engineers and designers are already talking about the possibility of building yet another set of locks to accommodate a Chinamax ship, which is ridiculously huge! Imagine a ship larger than those we have already been talking about. These ships are like a floating country! The Triple E, or Chinamax, is about one-third larger than the Neopanamax! Although it isn’t as big as an aircraft carrier, it is gigantic! But, even while it is expanding and focusing on getting more business and revenue, there is a focus on doing things right. On May 24, 2018, the Panama Canal was honored as a nominee for the 2018 Lloyd’s List Americas Award’s Environmental Award in recognition for its pioneering Green Connection Environmental Program and related initiatives. The Environmental Award, presented by the London-based Maritime Industry publication Lloyd’s List, acknowledges exceptional programs working to reduce pollution in the marine environment caused by maritime sources. In our changing world and with all of the challenges to clean water worldwide, it is wonderful that the Panama Canal takes this endeavor as its solemn responsibility. 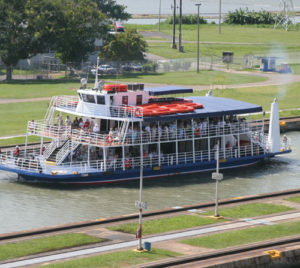 Your Own Personal Panama Canal Transit? Should you decide to check out Panama and all of the amazing things to do and see here, you should know that you can actually make your own transit of the Panama Canal. No, not on your little rubber raft! 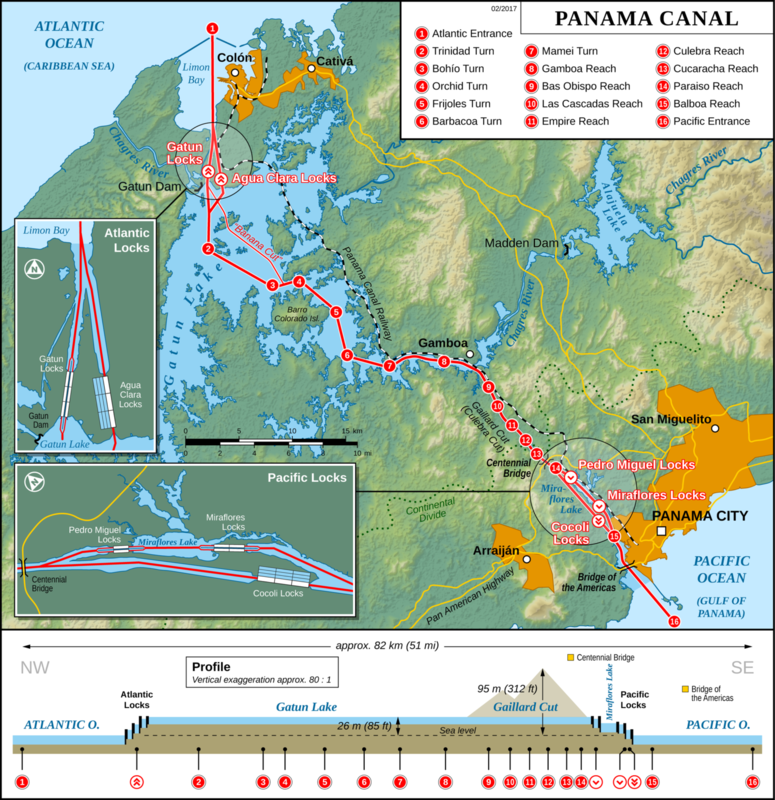 There are companies here in Panama that offer a transit of the Canal. You get to actually go through the locks and experience going up to the Canal Level! How exciting would that be? Then you cruise along the Panama Canal. There are companies that offer this amazing experience for as little as $200 per person. If it is a transit you want and not just the opportunity to go on a boat on the Canal, be sure to check specifically in the fine print and see that they GO THROUGH THE LOCKS! There are all kinds of reasons to come to Panama. Seeing and experiencing the Canal, one of the true Wonders of the World, is one. Maybe you would like to visit for a longer period of time and enjoy the laid-back lifestyle of the beaches or mountains while the weather where you live is cold and/or nasty. Maybe you are considering making your home somewhere like Panama. Maybe you want to consider investing in some of the amazing organic agricultural developments going on here. We welcome your questions and comments on anything we have included here or anything we might have missed. Contact us by commenting on this post or emailing at fpb@AnAmericanInPanama.org. Be the first to comment on "Panama Canal: Expanding Horizons!"